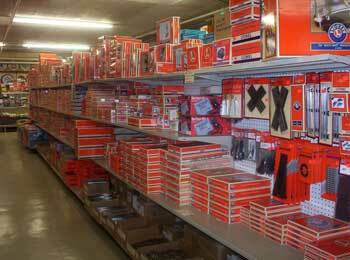 We stock Lionel, MTH, Atlas, K-Line, etc. We also have American Flyer and some 2-rail O-Scale from Atlas and RedCaboose and others. 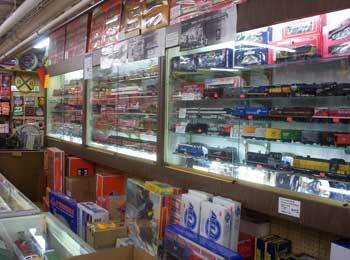 We also have a large inventory of Lionel NEW, out-of-production, and USED trains. If you are looking for something specific, call us or use our contact form to ask. 0 scale is a scale commonly used for toy trains and model railroading. Originally introduced by German toy manufacturer Märklin around 1900, by the 1930s three-rail alternating current O gauge was the most common model railroad scale in the United States and remained so until the early 1960s. In Europe, its popularity declined before World War II due to the introduction of smaller scales. O gauge had its heyday when model railroads were considered toys, with more emphasis placed on cost, durability, and the ability to be easily handled and operated by pre-adult hands. Detail and realism were secondary concerns, at best. It remains a popular choice for hobbyists who enjoy running trains more than they enjoy other aspects of modelling, and collecting vintage O gauge trains is also popular. There is a market for reproduction and vintage style models also. A number of changes in recent years have addressed the concerns of scale model railroaders, making O scale more popular. Conversely, in the United Kingdom O gauge is popular among fine-scale modellers generally with an emphasis on detail rather than operation. Because of its low price and high availability, OO gauge tends to be the most popular choice for those who wish to run their models. The size of O and OO layouts is also an important factor in making decisions. The name for O gauge and O scale is derived from "0 [zero] gauge" or "Gauge 0", because it was smaller than Gauge 1 and the other existing standards. It was created in part because manufacturers realized their best-selling trains were the smaller scales. In the United States, manufacturers such as the Ives Manufacturing Company, American Flyer, and Lionel Corporation used O gauge for their budget line, marketing either Gauge 1 or Wide gauge (also known as standard gauge) as their premium trains. One of the Lionel Corporation's most popular trains, the 203 Armoured Locomotive, was O gauge and ran on tracks with rails spaced 1.25 inches apart. The Great Depression wiped out demand for the expensive larger trains, and by 1932, O gauge was the standard, almost by default. After World War II, manufacturers started paying more attention to scale, and post-war locomotives and rolling stock tend to be larger and more realistic than their earlier counterparts. This has been reflected in the change from O gauge to O scale: gauge describes merely the distance between the rails, while scale describes the size ratio of a model as it relates to its real-world prototype. Since the early 1990s, O scale manufacturers have begun placing more emphasis on realism, and the scale has experienced a resurgence in popularity, although it remains less popular than HO or N scale. However, newer manufacturers including MTH Electric Trains, Lionel, LLC, Atlas O, and Weaver are making very exact, 1:48 scale models of trains. S Scale is one of the oldest model railroading scales. The earliest known 1:64 scale train was constructed from card in 1896. The first working models appeared in England in the early 20th century.Modeling in S Scale increased in the 1930s-1940's when CD Models marketed 3/16" model trains. American Flyer was a manufacturer of Standard Gauge and O gauge "tinplate" trains based in Chicago, Illinois. It never produced "S" Scale trains. Chicago Flyer was purchased by A.C. Gilbert Co. in the late '30's. Gilbert began manufacturing "S" scale trains in around 1939 that ran on three rail "O" gauge track. This was known as 3/16" O Gauge. Gilbert stopped producing trains during WWII. When the war ended, Gilbert began producing true "S" Scale "S" Gauge trains in 1946. S gauge entered what many consider its heyday in 1950s (although there is more available in S scale today than was available during this period) . However, during that period, Lionel outsold American Flyer nearly 2 to 1. American Flyer's parent company went out of business and the brand was sold to a holding company that also owned Lionel in 1967. Lionel re-introduced S gauge trains and accessories under the American Flyer name in 1979. Another S manufacturer, American Models, entered the marketplace in 1981 and is now also one of the major S suppliers. S-Helper Service, another major S gauge manufacturer of locomotives, rolling stock, track and other products, began operations in 1989 and delivered their first S products in 1990. And while the S scale market has seen a number of brass model manufacturers, today the major brass model supplier in S scale/S gauge is River Raisin Models. Today's S gauge/S scale modelers have a greater selection and higher quality products, from a wide range of manufacturers, that at any time in the past. In addition to the basics of locomotives, rolling stock, and track, various manufacturers now offer S scale structures, detail parts, figures, other scenic items, bridges, and more. SCALE is the ratio of a model dimension to the real life dimension. GAUGE refers to the distance between the inside edges of the load-bearing rails.